Kakeru's classmate and friend. 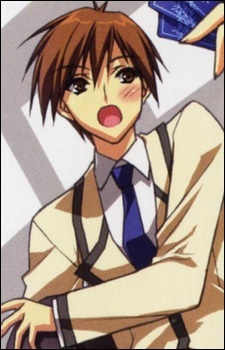 He was nick-named Gigolo by Kakeru but he was far from being a ladies' man. He is often forgotten by his friends due to his lack of Existence. He's also got crush for Yurika Kochikaze but always ends up not being able to tell her or being ignored. But, he is a reliable person at times of need, always ready to help his friend.